1. 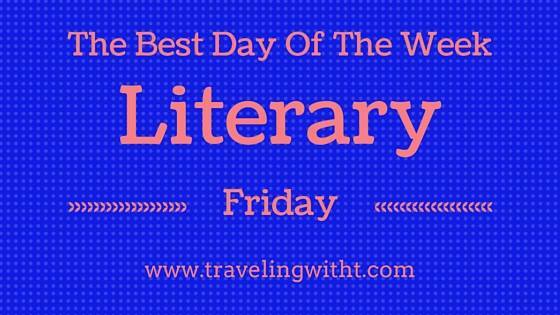 Deep South Magazine and their #literaryfriday: Literary festivals, books to movies and more! 2. Book Talk With R & T is almost over- check out our tweets 🙂 And enter the #giveaway! 3. Have you entered to #win THE THINGS WE KEEP? 4. Are you looking for planner peace? I love The Book Blogger’s Planner! 5. #Fridayreads: After finishing THE WIDOW (which I didn’t hate- but I didn’t LOVE), I needed something to distract me from the subject matter of The Widow. Enter, SOME WOMEN by Emily Liebert. It’s hitting the spot. This weekend we’re having a birthday party for my daughter. It’ll have lots of people and I’m cooking homemade pizzas. The planner looks interesting! I’ve been debating trying out some apps like evernote, but pen and paper may be good too.